Professional Women's Network of Croatia "PWN Zagreb" is part of a global organization for promoting excellence when it comes to the professional work of women and men. By promoting dialogue about equal opportunities and creating a business world in which talent is the only criteria for employment and promotion, PWN Zagreb is actively working to raise public awareness about the equality of men and women fighting against gender-based discrimination. Socially responsible work is a substruction of the corporate everyday management in Wiener osiguranje, part of the Vienna insurance group. Wiener wants to excel in it, not only because of position on the market but to also achieve a major role when in helping the society and the local community. With various activities that improve the quality of life and work incommunity, this company wants to thank its clients and the general public for their trust and loyalty. It is important, besides Wiener's primary activity, to point out social problems and to encourage change for greater good. When it comes to hiring in Wiener osiguranje, the most important criteria are the expertise and the quality of work, which is evident in their figures. At this point, Wiener has 55% of women in managerial positions, and 67% of their entire employee composition are women. 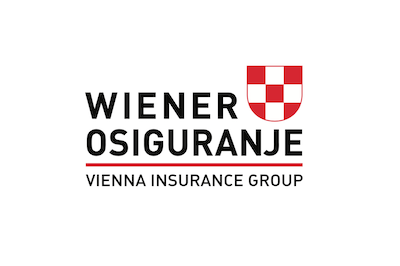 As Wiener osiguranje truly believes in the vision of this association that only socially responsible business is sustainable in the long run, they have become a proud sponsor of the Professional Women's Network of Croatia. Through their daily activities, Wiener strives to leave a better world for future generations. With honest and justly treatment for all of their employees, external partners, and associates, with taking into account their different experiences, backgrounds, needs, and expectations, Wiener osiguranje continues to pursue its vision of the socially responsible business.